By week’s end, an activist from Syria’s Kurdish or Christian minorities will most likely succeed Burhan Ghalioun as leader of Syria’s main opposition umbrella, the Syrian National Council (SNC). 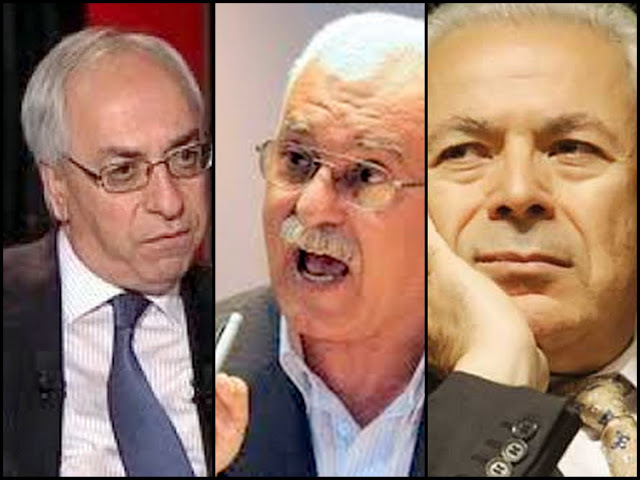 Either a Syrian Kurdish native, Abdelbaset Sida, or a Syrian Christian, George Sabra, will probably be named to replace Muslim Sunnite Ghalioun at the June 9-10 meeting of the SNC executive bureau in Istanbul. Both are members of the SNC executive bureau. Many in the opposition view Sida or Sabra's appointment as a way to convince minorities they are partners in the revolution and in shaping Syria's future. The move would also allay concerns over the Muslim Brotherhood’s hegemony in the SNC. Ghalioun has led the SNC by consensus since its formation last October and was elected chairman in a vote held in Rome in mid-May, when Sabra came second in the ballot. Based in Paris since the 1970s, the 67-year-old Ghalioun is the author of numerous books dealing with sociological and political issues of the Islamic world. He is director of the Centre d'Etudes sur l'Orient Contemporain (CEOC) in Paris and a professor of recycling sociology at the Université de Paris III (Sorbonne Nouvelle). Sida, 56, is a native of al-Hasakah in Syria’s northeastern corner sandwiched between the borders with Turkey and Iraq. He holds a PhD in Philosophy and has been living in self-exile in Sweden since 1994. His book – “The Kurdish Question in Syria” – was published in 2003. He told KurdWatch organization, which reports on human rights violations against Kurds in Syria, in an interview last November, “I try (at the SNC) to bring the Kurdish question to the fore, because it is in Syria's interest to find a just and democratic solution to this question. Sabra, 65, is a working-class liberal Christian and longtime dissident now based in Paris. He spent two years in solitary confinement and only left Syria, crossing to Jordan on foot, last October following a brief spell in detention. He is a founder member of the Damascus Declaration for National Democratic Change and an ally of Syria’s top dissident Riad al-Turk. Turk, an 81-year-old former leftist who spent 25 years as a political prisoner, operates underground inside Syria. The opposition looks to him for moral guidance. In a televised interview aired by Alarabiya news channel earlier this year, Sabra blamed the diffidence of Church leaders for the lack of Syrian Christian presence on the streets. He said Christians should not draw parallels with their coreligionists in post-Saddam’s Iraq and refuted remarks by Aleppo’s Roman Catholic Archbishop Jean-Clément Jeanbart that Christians don’t trust Sunnite governance. “The history of independent Syria tells another story,” he said. He was referring to Syria of the 1950s, when the Godfather of modern Syrian politics was a Presbyterian Christian statesman, Faris el-Khoury, who served as minister, prime minister, speaker of Parliament, and represented his country at the inauguration of the United Nations.